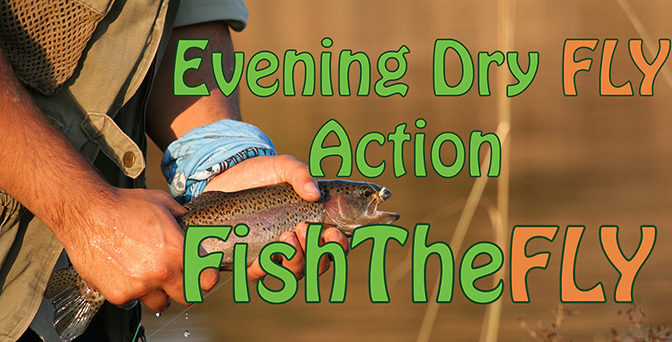 What is better than fishing dry flies in the evening? Fish The Fly visit Millstream Farm a few times a year, and we have been treating to some amazing evenings, with significant hatches, and a great back drop. Sometimes it really does not matter what size fish you catch. If you are fly fishing with a great friend, who also happens to be a passionate fly fishing, and you have beautiful Rainbow Trout rising all over, with an amazing drawn-out sunset, what could be better? We found bits and pieces of some older footage of Jason and Gareth fly fishing at Millstream, in Dullstroom South Africa. In this video the guys fish in some beautiful light and manage to catch a few Rainbow Trout in a small pond on a variety of dry flies: Stimulator, Royal Wulff and Orange DDD. Please have a look at the video below that we managed to make up. We also have a variety of other fly fishing videos that you might find interesting, as well as fly fishing photographs. We really hope you enjoy this video, and stay tuned for many, many more! Please subscribe to our YouTube channel if you would like to see more, or stay informed.